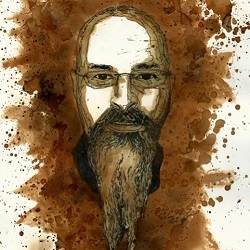 Chris Roberts is the Chief Security Architect at Acalvio and is regarded as one of the world’s foremost experts on counter threat intelligence within the cyber security industry. At Acalvio, Chris helps drive Technology Innovation and Product Leadership. In addition, Roberts directs a portfolio of services within Acalvio designed to improve the physical and digital security posture of both enterprise, industrial and government clients. (In English) Acalvio has given him the opportunity to help shape the next generation of deception platforms, allowed him to spend time doing R&D…and he still gets to break into companies and help them with their maturity modeling and overall solutions within the security industry. For the 50th episode, I couldn’t have picked a better guest and this was my favorite interview to date. We discuss scotch tasting and food, and how that relates to infosec, building a better cyber security community, learning from past mistakes, why giving back to the community is so important, why the new generation needs to make their own mistakes, the word hacker, and so much more.